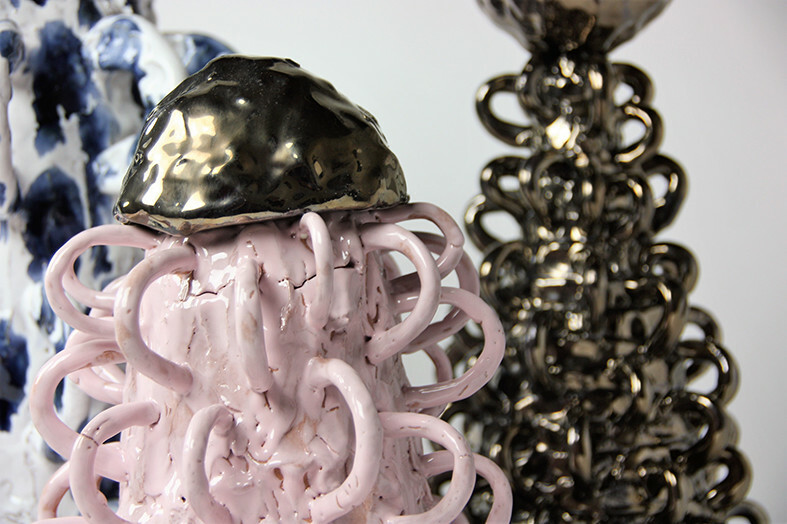 My work explores colour, texture and shape. 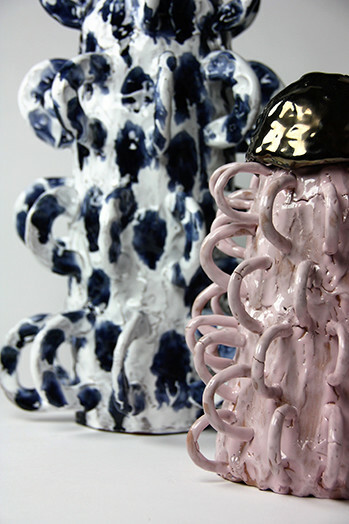 I hand build my work using terracotta and build them up into cylindrical forms, adding loops and small shapes as I go. I paint and glaze the forms surfaces incorporating patterns and narratives from life experience. 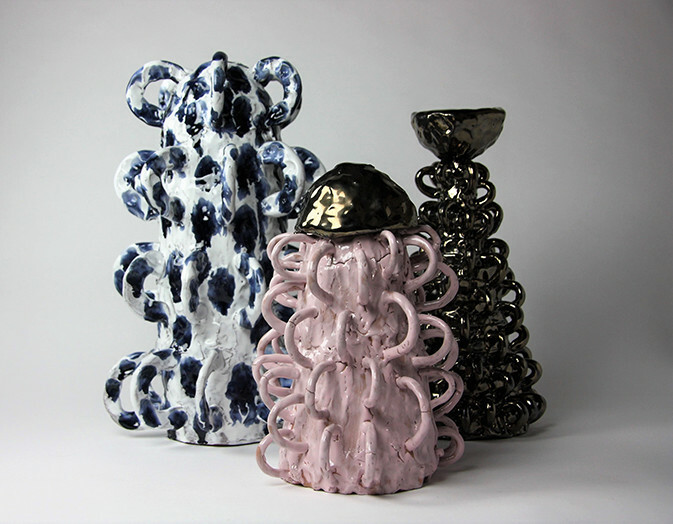 Matilda Kubany-Deane is an emerging Sydney artist and has worked in the ceramic medium for many years. She is currently completing a BFA at the National Art School, Sydney. Matilda has exhibited at spaces including Studio W; aMBUSH Gallery (2016); Lilac City (2017); Sweetness of the New, The Yellow House, Sydney; and Dirty Deeds, Stairwell Gallery, Sydney (2018). She is also the recipient of Redkite Dare to Dream grant.